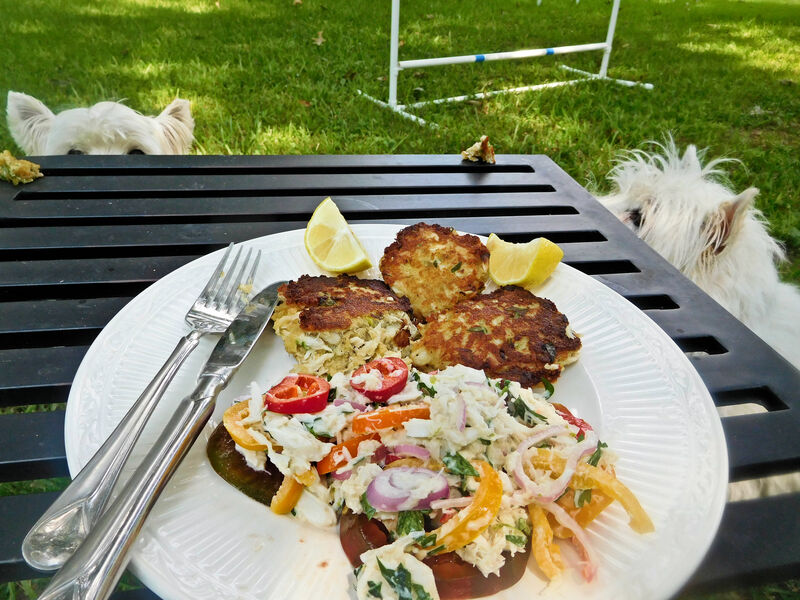 Crab cakes with crab salad on heritage tomatoes makes a dandy Wordless Wednesday lunch at our picnic bench! This entry was posted in Uncategorized and tagged dogs, Madison Mississippi, Pets, terriers, West Highland White Terriers, Westies. Bookmark the permalink.